If your New Year’s Resolution has been to “eat healthier,” for the past few years now, we’d be the last ones to judge. Unless you take the time to prep your baon before going to work, your options for healthy and satisfying meals can be woefully limited. 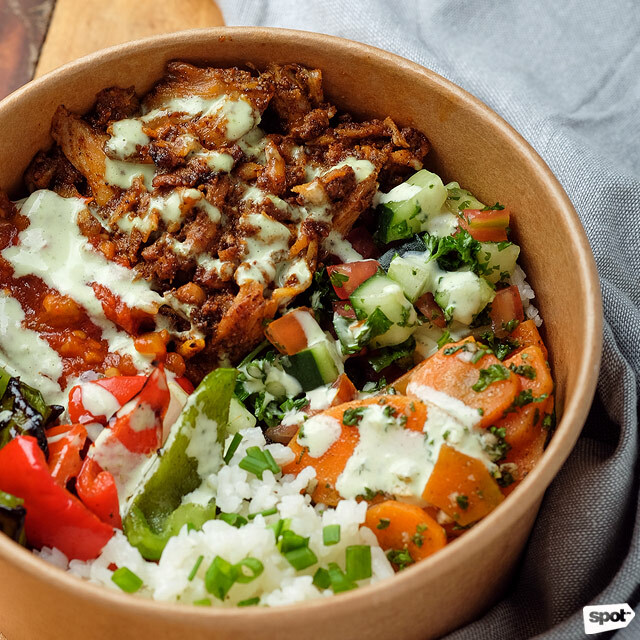 Lucky for the busy folks of Bonifacio Global City, a new player is about to enter the game, and their bowls are generously sized and chock-full of flavor without sacrificing freshness and healthy goodness. You can get the Beef Kofte with house made hummus and a warm pita. Medley offers a varied menu of warm bowls, salads, sandwiches, and pizzas, but they are open to customizing. 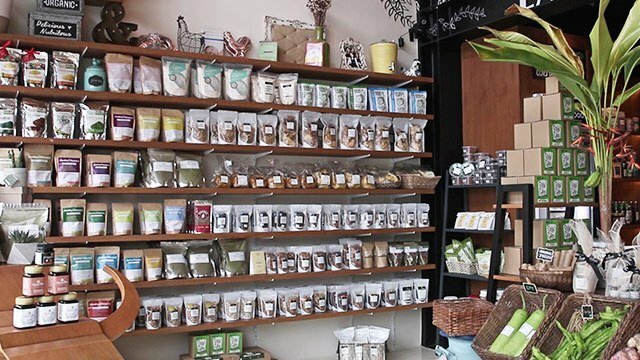 “If you want to swap an ingredient out for another, we can do that.” says Tweg. But there’s more than enough options for you to be able to eat here every day and not get tired. 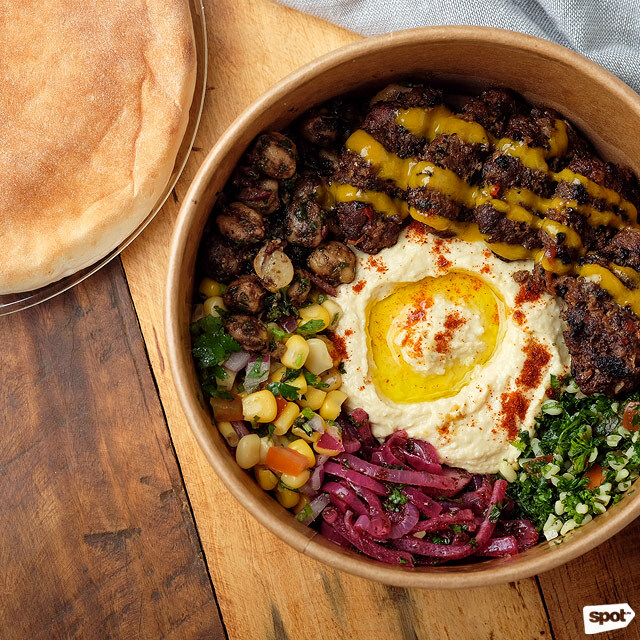 You can get their Beef Kofte warm bowl, for example, with Hummus + Pita (P349), which we highly recommend as they make both from scratch, or with Mediterranean Rice (P269). 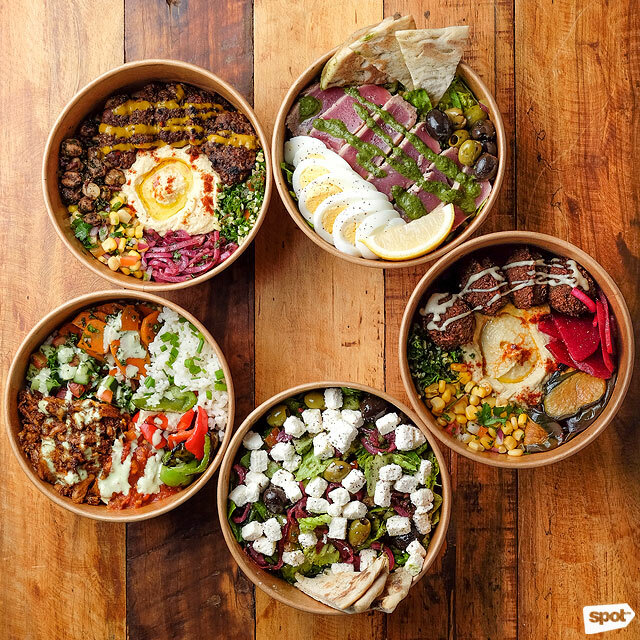 A bowl also gets you a zesty tabouleh salad, a corn and sumac onion salad, and a chickpea salad, all offering a refreshing contrast to the peppery beef. Plus, it looks incredibly vibrant, too. The Falafel Crunch is a meatless option even the most adamant carnivore will enjoy. 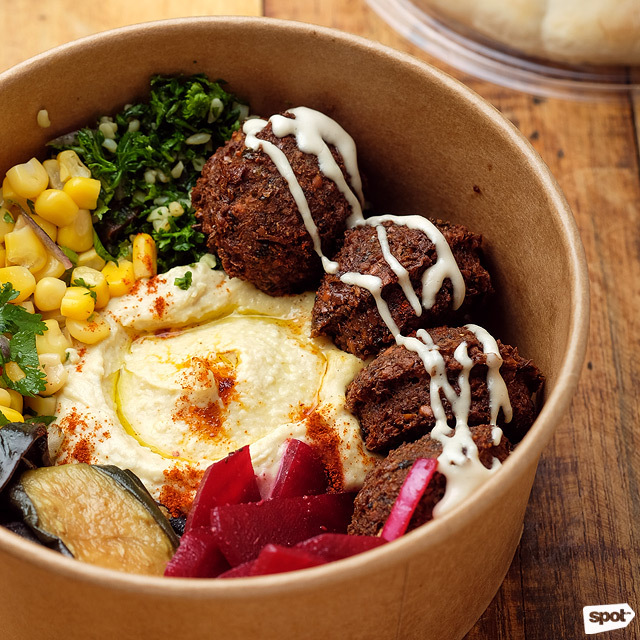 Those looking for a vegetarian option should go for the Falafel Crunch (P329/Hummus + Pita, P249/Mediterranean Rice). The falafels don’t taste anything at all like beef or pork but that doesn’t mean you won’t get addicted to the crunchy, savory fritters all the same. These get paired with fried eggplants, a beetroot salad, tabouleh salad, and a bright and zesty lemon tahini sauce. The Levantine Chicken Sandwich is packed with lots of tasty fillings in a handy package. You can also get the Levantine Chicken as a Warm Bowl. For busy, always-on-the-go folks, go for the equally filling sandwiches, which are more like wraps. 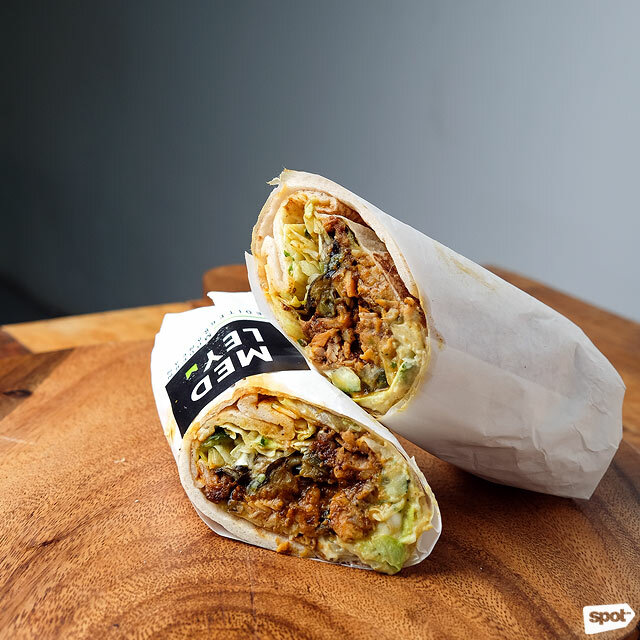 You have the option to have your wrap in a laffa or flatbread, or inside a pita—Tweg’s family owns a bakery that supplies pita and laffa to some of Manila’s best Mediterranean restaurants so you can expect wonderfully soft, tasty bread. They’re the perfect base for the flavorful Levantine Chicken (P269/laffa, P199/pita). The chicken, named after to the region of Levant (which is now part of modern-day Syria), is cooked in a broiler with a mix of Middle-Eastern spices. The result is tender, shredded chicken that starts with a pleasantly burnt sweetness before giving way to a spicy heat that warms you up. A mix of hummus, sandwich greens, fried eggplants, and a sweet-spicy mamba sauce rounds out the flavors and fills you up. 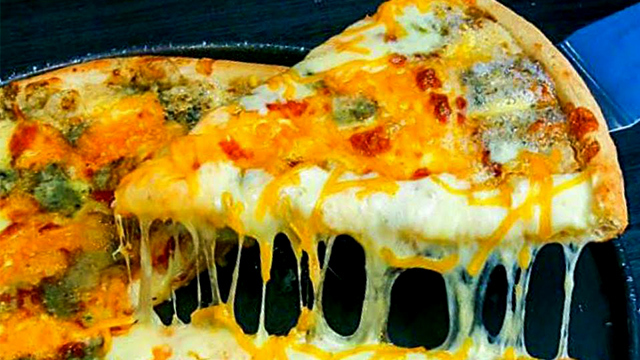 Medley uses a flatbread-like crust they make themselves for their pizza, like The Legaspi Pizza. Medley also offers pizza, which might come as a surprise for a Mediterranean restaurant. “Our pizza is more of a Turkish pizza. It doesn’t have tomato sauce,” shares Tweg. “Authentic Turkish pizza doesn’t have cheese, but we added cheese because here [in the Philippines], you can’t call it pizza without cheese.” You won’t really miss the lack of tomato sauce in The Legaspi (P299), named after Legaspi Sunday Market where they still have a Mediterranean stall. 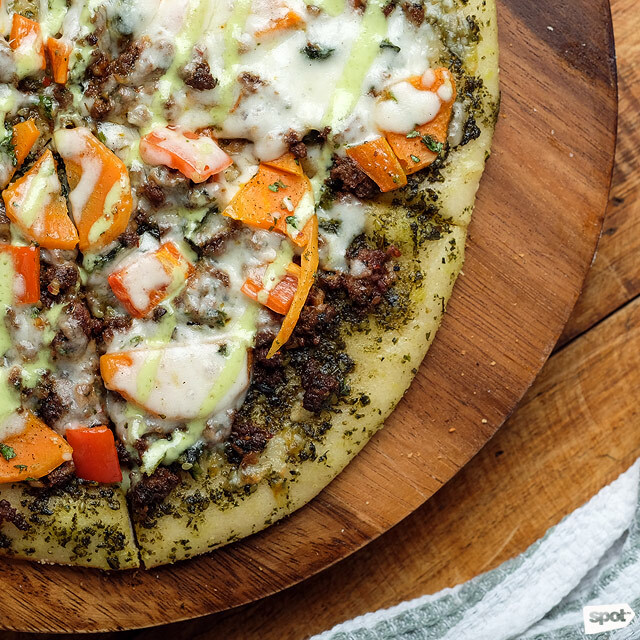 A tasty pesto sauce paired with the spice from a generous drizzle of garlic sauce makes up for it, and toppings of red bell pepper, spinach, beef kebab, and a Morrocan carrot salad add color and flavor. Eating healthy can be difficult, but Medley is here to make things easier. Plus, their colorful, flavorful bowls and wraps won’t make it feel like you’re depriving yourself—in fact, it’s more like you're treating yourself. *Medley opens on January 26, Saturday. 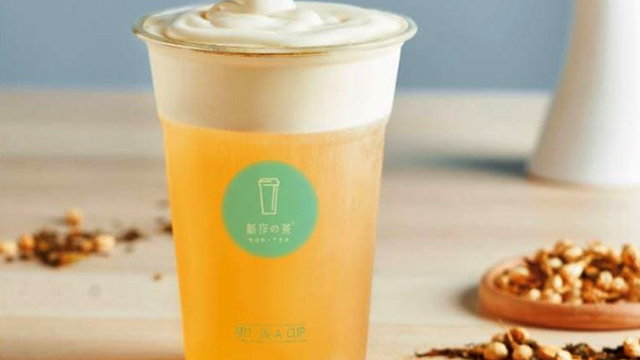 Healthy And Delicious Food Is Now Available In BGC!